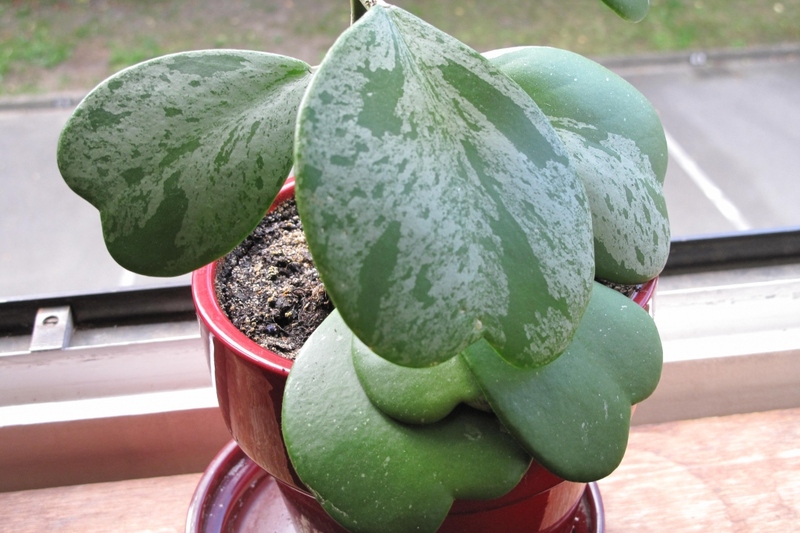 Lucky-heart (Hoya kerrii): growing, planting, caring. Hoya kerrii is a species of Hoya, popular as a houseplant for Saint Valentine's Day… for its thick heart-shaped leaves. A climbing plant - up to 4 meters! 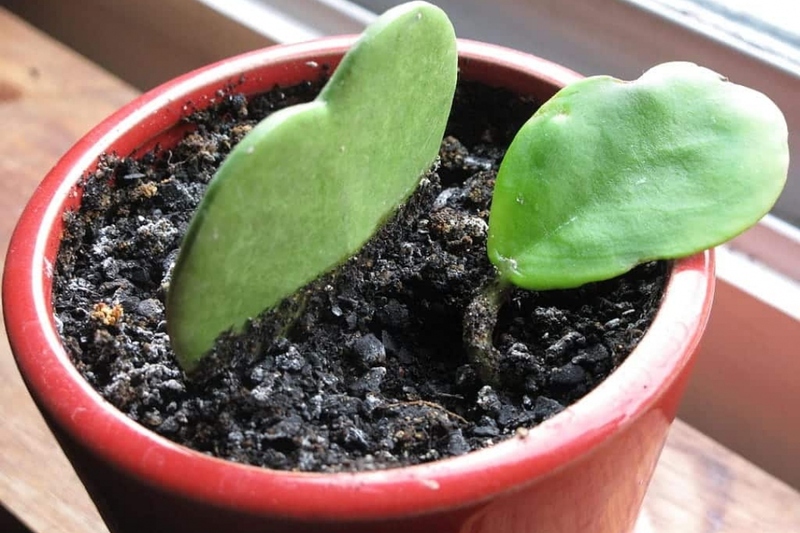 - often found in shops as a cutting: a simple (but pretty) heart-shaped leaf in a pot. Hoya kerrii grows above ground in a warm environnement, and feeds on the ambient humidity, though you might need to supplement this with light spraying or ponding. Above all, shelter them from direct sunlight in summer! A leaf-cutting - a heart-shaped leaf in a pot - can form buds with the right conditions ... after about 2 years. Hoya kerrii has waxy, inverted heart-shaped leaves and presents umbellate flowers on axillary peduncles in summer. Plant your hoya in a mix of potting soil, heathsoil and peat, indoors. Watch out for red spiders, aphids and mealybugs! First, these famous red spiders! This is not a spider, but a mite. It absorbs the contents of the cells, and the leaves then become mottled (yellow-white-silver), thin canvases are sometimes observed. These mites mainly attack the back of the leaves. To check for their presence, soak a cotton pad with water and pass it under the leaves: you will notice tiny red spots. To get rid of them, know that these spiders hate water! Prepare a solution of black soap: 20g of soap, 1 liter of water and 30mL of spirit. For mealybugs, try baking soda (1 teaspoon in a quart of water, plus some soap!